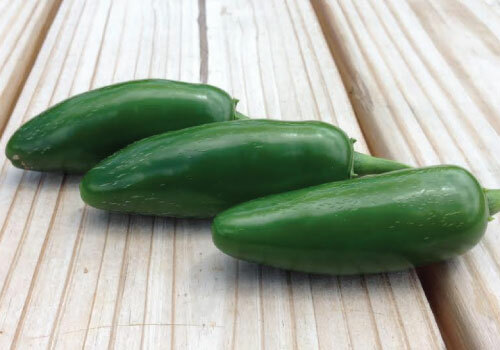 Get a head start with the early maturing Early Jalapeno Pepper. 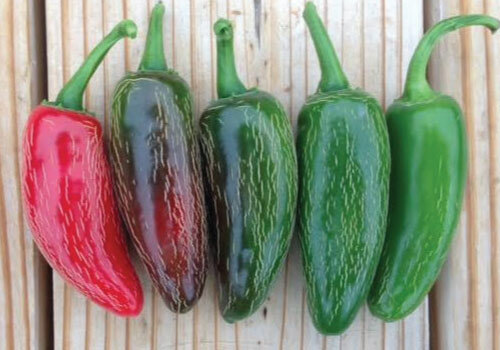 This pepper variety continuously produces a dark green, thick skin that forms to the shape of a cone. 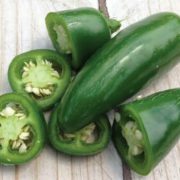 Enjoy the Early Jalapeno fresh or pickled on salads, dips or tacos! Growing hot peppers from seed allows for diversity and spice in dishes, but certain steps must be followed to ensure the best possible outcome. 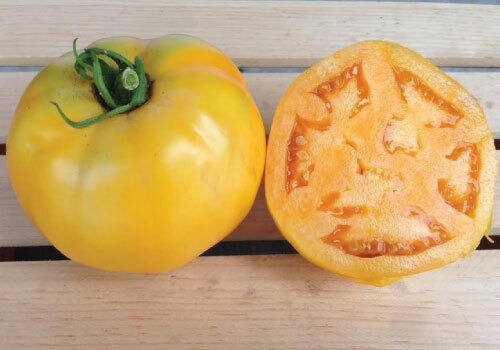 Before Planting: Before planting, soak the seeds overnight in warm water. Soaking the seeds allows them to sprout quicker and better than when not soaking them. Planting: Plant the seeds in peat pellets, but follow the instructions on the pellets in order to add water and allow the peat to expand before planting the seeds. 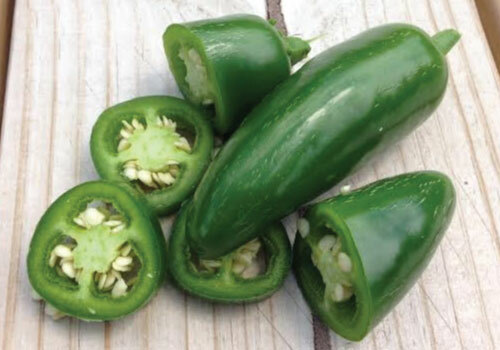 Plant three of the same hot pepper seeds in a 1/4 inch hole and loosely cover with soil. Do not pat the soil down because you want the seedlings to break through the soil’s surface easily. It is time to transplant your seedlings when the last frost has passed and nightly temperatures are above 50 degrees. Plants should be around 8 weeks old and they shouldn’t have any blooms yet. If they do have blossoms, pinch off the blossoms prior to transplanting so energy will be directed to adjusting to the transplant. Watering: Water 1 to 2 inches per week. Fertilizer: Fertilizing begins when the seedlings are still indoors and the first true set of leaves have appeared. Use a diluted fish emulsion fertilizer. 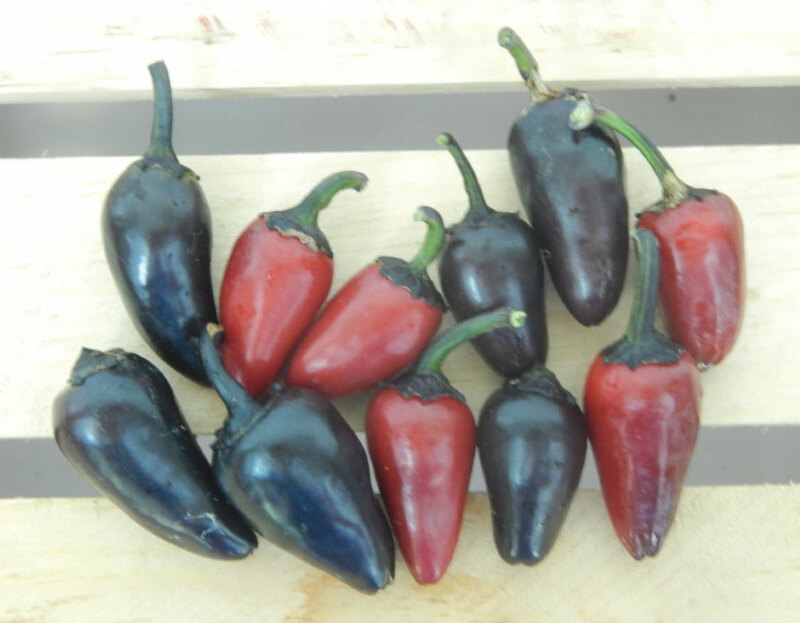 Days to Maturity: Peppers are ready to harvest when they change color. 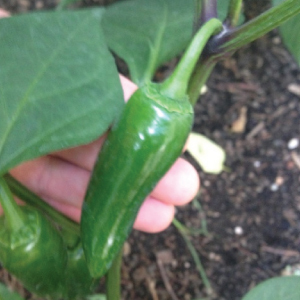 Harvesting: To harvest, use gloves when picking and use hand pruners or scissors to snip the pepper from the plant. 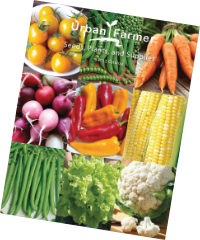 Tips: Since peppers are heavy and their branches are brittle, stake the plants or use cages to support them.